Familiar faces make a special Valentine's Day appearance. 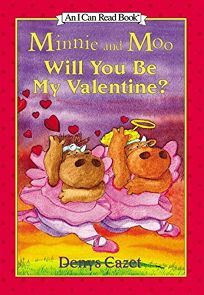 The bovine pals become barnyard Cupids, penning love poems for friends and delivering them, surreptitiously, via bow and arrow in Minnie and Moo: Will You Be My Valentine? by Denys Cazet, the 10th Minnie and Moo title and part of the I Can Read Books series.